There has been a lot of quality music coming out lately so I wouldn’t say that hip hop is dead or even dying. I also feel like there has been some transitioning in the sounds of mainstream hip hop lately with not all of it sounding like a redundant lack of creativity like it has been for a while. But, Eminem and Blaq Poet have just recently waged war (lyrically) on some of the new class of hip hop. It is nice to have a diverse sound in hip hop (even though I do not listen to the non-lyrical stuff). Eminem surprised us with a brand new album because I think he was unhappy with how his recent album Revival was received by the masses. The new album Kamikaze is like a response to the doubters who were wondering if Eminem still had it. Well, he does, and I think that Kamikaze proves this. It also proves that you need to give the people what they want. 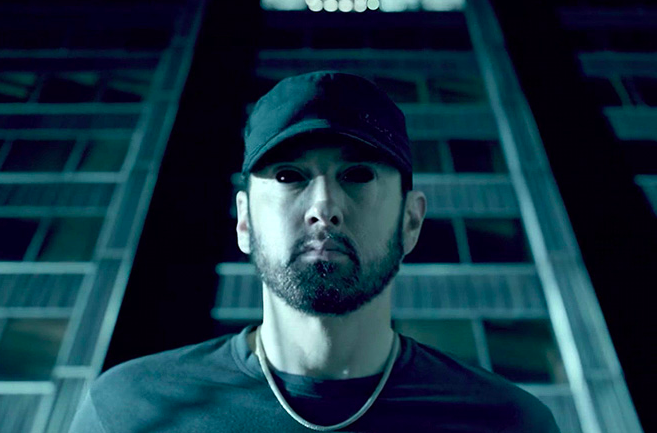 Check out the Eminem video below for Fall which is a new track from his latest surprise release Kamikaze. Also, don’t forget to check for Blaq Poet’s new singles that just dropped called Declare War and FOH. This dropped just a few weeks ago so Blaq Poet was actually first to call out these guys, as of recent. “These guys” being hip hop artists who have lack of talent and are a bit of oddballs when it comes to fashion and rhyming. Check those singles out HERE. DAMMMMNNN – Eminem is calling out a lot of guys. This is healthy for hip hop because the passion comes out of people and they are eager to try and top the diss. Unfortunately, I doubt any of the people called out will be able to go toe to toe with a guy of Em’s caliber. Tragedy Khadafi also made quite a funny comment on his Instagram, check it out. None of these new guys want any parts of Tragedy, Eminem or Blaq Poet.